Dennis Schweigert, Senior VP, Consulting Services for ISM has 33 years of demonstrated senior management experience primarily focusing on company growth, enhanced profitability and market position. Dennis heads-up ISM’s consulting services, where he has worked since 1999. Dennis specializes on providing business process services to ISM clients that include: AAA, AEW, Bridgewater Bank, Ceridian, Cavendish Farms, Continental Mills, ExxonMobil, Kraft Heinz, Qiagen, the Corporate Executive Board, J.A.M. Distributing, MechSystems, NCCO, Pyrotek, Universal Forest Products, University Federal Credit Union, USE Credit Union, and others. Dennis has extensive experience creating Customer Profiles for ISM’s client base, including heading up the Customer Profile work at the Corporate Executive Board, Kraft Heinz, and AAA. He is also a specialist in enhancing ‘as-is’ business processes and creating new ‘to-be’ processes. 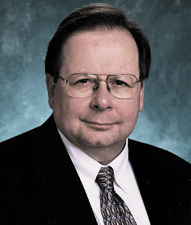 Prior to joining ISM, Dennis was Senior Vice President of Strategic Development for the EcoDigital Development Group, a mid-sized entrepreneurial organization focused on developing specialized products and services for underserved/underutilized areas of the country including mixed-use property development in historic main street areas, broadband wireless internet services to rural areas, and environmental services to financially challenged responsible parties. His diverse career includes Vice President of Sales and Marketing for a $1 billion/annum North American industrial services organization and General Manager for an environmental/civil service company. Dennis has been a guest speaker at the DCI Sales Force Automation conference and has been actively involved in several executive development programs.